In honor of Palestinian Land Day, students from Palestine and colleges and universities around the United States have joined the American Friends Service Committee (AFSC) and Jewish Voice for Peace (JVP)- both US Campaign coalition members- in sending a video message to one of the largest financial services companies in the United States: divest from corporations that profit from the Israeli occupation. The video below calls on TIAA-CREF to end its investments in corporations that profit from Israel's military occupation of the West Bank, Gaza and East Jerusalem. Some of these corporations include Veolia, Hewlett-Packard and Caterpillar that often provide services or products on US campuses, but also help to entrench the system of inequality and military occupation in Israel and Palestine. Watch the video below and then join over 24,000 people of conscience who have already signed the petition to ask TIAA-CREF to stop investing in companies that profit from the Israeli occupation. Make sure to share with your friends and tweet to @TC_Talks to stop supporting Israel's occupation. Bill Fletcher, Jr. is a member of the US Campaign Steering Committee, a senior scholar with the Institute for Policy Studies and the immediate past president of TransAfrica Forum. In classic fashion cable television's The Daily Show recently reminded those of us who have conveniently forgotten that, for the most cynical of reasons, the US government has cut funding to the United Nations Educational, Scientific and Cultural Organization (UNESCO). The cut was carried out in October 2011 as a US response to UNESCO accepting Palestine as a participating member nation. The US Congress, in its wisdom, has ruled that any such actions by an international body should come at great cost, in this case, the elimination of US funding – some 22 percent of UNESCO's budget. The Daily Show rightly made the members of Congress out to be curmudgeons, hacks, and misanthropes who would rather score political points against the Palestinians than protect innocents being assisted by UNESCO. The program’s only shortcoming was its failure to assign blame to AIPAC for repeatedly pushing misguided policies toward the region. The theory behind this ill-considered measure is that any recognition of Palestine as having an independent government and statehood aspirations should be discouraged in order that Palestinians and Israel may settle their nearly 64-year dispute via direct negotiations and with no outside assistance from the international community to balance the playing field between the state of Israel and the dispossessed Palestinian people. To some this may sound rational except that Israel holds all of the cards, even following the 1993 Oslo Accords that were supposed to lay the foundation for the establishment of an independent, legitimate Palestinian state living at peace with Israel. It remains completely unclear to any independent observer how Palestine entering into UNESCO would influence negotiations that are not taking place. What it does do is to display to all who wish to see that the Palestinians are viewed by most of the world as a legitimate nation of people who have the right to fully operate at the international level. The Palestinian Campaign for the Academic and Cultural Boycott (PACBI) of Israel has issued a statement condemning Cornell University's collaboration with Technion - Israel Institute of Technology. Cornell and Technion are building a multi-billion dollar science and technology campus together on Roosevelt Island in New York. Technion, like other Israeli academic institutions, is complicit in Israel's continuing occupation and violations of Palestinian human rights and international law. Joining US Campaign member groups US Campaign for the Academic and Cultural Boycott of Israel (USACBI) and Cornell Students for Justice in Palestine (SJP), PACBI is urging residents of New York, US civil society, and people of conscience to mobilize against the Cornell-Technion partnership. Sign and share Cornell SJP's petition opposing Cornell's shameful collaboration with Technion and check out USACBI's resources page on the Cornell-Technion partnership! The Palestinian academic community was deeply disturbed by the recently revealed plan of collaboration between Cornell University and Technion – Israel Institute of Technology. The two institutions have won a multi-billion-dollar competition held by the City of New York to establish “a 2 million square foot engineering and applied sciences university campus” on Roosevelt Island, NY . Students for Justice in Palestine (SJP) at Cornell University have petitioned the City of New York and Cornell University to end this collaboration with an Israeli institution that is "directly implicated in war crimes ." 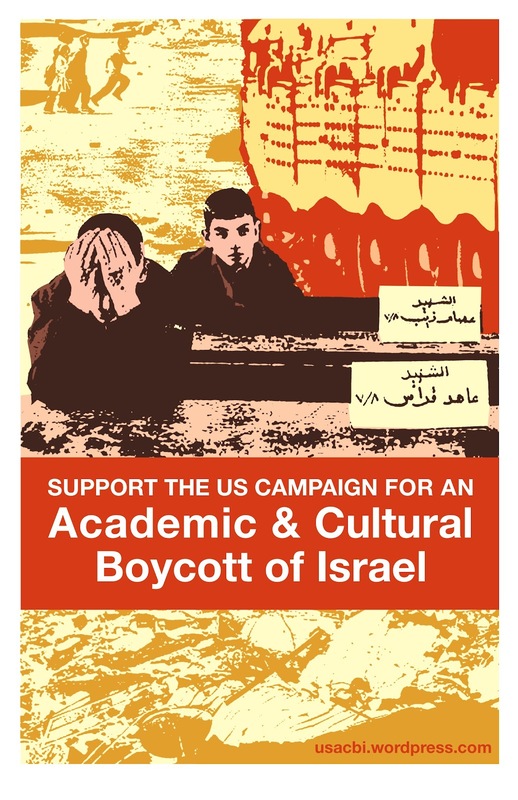 Similarly, the US Campaign for the Academic and Cultural Boycott of Israel (USACBI) has launched an appeal calling on students and faculty to put pressure on their university to withdraw from this troubling partnership . - Technion trains its engineering students to work with companies dealing “directly in the development of complex weapons in the process of researching their academic theses” . In one example with Elbit Systems, the reward has been the funding of research grants in upwards of half a million dollars to Technion’s students conducting research . - Technion has deep relations with Rafael Advanced Defense Systems, one of Israel’s largest government-sponsored weapons manufacturers famous for its “advanced hybrid armor protection system” used in Israel’s Merkava tanks . The institute has developed an “MBA program tailored specifically for Rafael managers” which further solidifies its relationship between academia and Israel’s military-industrial complex . - Technion rewards its students who perform their compulsory military service. It also granted Israeli army reservists who participated in the Israeli massacre of Gaza in 2008-2009 “academic benefits in addition to the usual benefits for reservists” . In 2004, Palestinian civil society called for an academic boycott in the spirit of the South African anti-apartheid movement. In our statement, we have maintained that a boycott of Israeli academic institutions is necessary due to the complicity of these institutions in the system of oppression that has denied Palestinians their basic rights guaranteed by international law. While it is common to think of universities as ivory towers separate from society, this view ignores the deep roots of the academy in society, and in shaping our knowledge of the world. Universities influence political power, shape future generations, and structure the moral and ideological underpinnings of our societies. In the case of Israel, the academy gives the state a veneer of being liberal, tolerant, and just. This is an image that serves to combat and whitewash the state’s ongoing occupation, colonialism and apartheid. In response to a call for academic boycott of Israel, one might respond that US academic institutions collaborate with other academic institutions around the world, as well as with their own government that is involved in human rights abuses, war and occupation. This argument is often used as a red herring to distract activists, and as an attempt to delegitimize the movement. However, it is critical for us to recognize this as a legitimate concern when it comes from truly conscientious activists and observers, and from people who are invested in advancing ethical forms of resistance against all kinds of oppression. The above argument can be broken into three parts. First, we must recognize the voice of Palestinians who suffer under Israel’s intricate multi-tiered system of oppression. In this sense, an important element is the call by an overwhelming majority of Palestinian civil society for an international boycott of Israel that is embodied in the Boycott, Divestment and Sanctions (BDS) movement. In the 70s and 80s, no ethically minded person would have screamed that the anti-apartheid movement was hypocritical for asking for the boycott of South Africa and not, say, Israel, the U.S. or the Soviet Union. Thus, it rings hollow and suspicious when people question Palestinians and international solidarity activists for applying the boycott to Israel but not other places. The BDS movement is explicit in its solidarity with oppressed people around the world fighting against all forms of oppression. It similarly calls on others to stand with Palestinians in their time of resistance. Second, we are keenly aware that US academic institutions partner with other foreign academic institutions. To the extent that these foreign institutions are complicit in their governments’ abuses of international law and human rights, in ways similar to the complicity of Israeli academic institutions, then we also condemn such partnerships. We doubt, however, that there are, as of yet, any joint ventures within US borders between Saudi Arabian academic institutions, for example, and a US institution. It is no coincidence that Israeli institutions enjoy greater access to US academic networks, including the funding that these networks enable. This is what makes the tactic of boycott crucial, effective, and urgent when applied to Israel. We also stress again that Israel’s atrocious violations of international law remain violations even if there are other countries that commit the same. This leads to our third argument, where it should not be denied that academic institutions in the US collaborate with their own government, arguably the world's leading and most violent violator of human rights, if we take Iraq and Afghanistan as case studies. We believe these partnerships should end, and a campaign against Cornell-Technion should strive to raise awareness on US academic complicity, inviting various sectors of local communities to share their experiences and build mutual solidarities. However, this should not prevent a serious and legitimate call to boycott collaborations with Israeli institutions. The herculean task of disengaging US academia from the US military industrial complex should not deter or demobilize activists from a call to boycott Israel and its complicit institutions. Did any morally conscientious person call on US academia to boycott its government before boycotting the apartheid South African regime? Could American university administrations, morally speaking, argue against the boycott of apartheid South Africa, simply because their own institutions were developing technology for the US government? We hardly think so. We cannot defer the rights of people around the world as we wait for the US superpower to clean its house. However, we must also not hold back from our collective struggles against the abuses of the US government. In this way, we, at PACBI, along with our coalition partners in Palestinian civil society wish to express our solidarity with oppressed segments of US civil society, and ask that you hear our call and put pressure on your academic institutions and city councils to boycott apartheid Israel. This is what we ask for in our struggle for freedom, justice and equality. Uri Yacobi Keller, The Economy of the Occupation: A Socioeconomic Bulletin. (Jerusalem: Alternative Information Center, 2009), 10. http://usacbi.files.wordpress.com/2009/11/economy_of_the_occupation_23-24.pdf. The following is a letter written by Cindy and Craig Corrie. It has been nine years today since our daughter Rachel was crushed to death under an Israeli driven, U.S. funded and built, Caterpillar D9 bulldozer in Gaza. In March 2003, the news was full of talk of war with Iraq - a preemptive war to protect the west, particularly the U.S. and Israel, from the weapons of mass destruction then alleged to have been amassed by Saddam Hussein. When Rachel traveled to Gaza that year, the world was not watching. According to Human Rights Watch, from September 2000 until September 2004, 1,600 Palestinian homes in the city of Rafah were destroyed by the Israeli military as it occupied the Gaza Strip. One-tenth of the population lost their homes. Rachel chose to be in Gaza when the ground attack against Iraq broke out. She feared an escalation of the violence and a tightening of the isolation against people there, as the world looked to the northeast and watched the carnage in Iraq. It did not happen as immediately as some expected, but with the Israeli military attack on Gaza of November 2008 through January 2009, the violence became overwhelming, and the tightening of the seige initiated in 2006 by Israel to remove Hamas, made the isolation nearly complete. In 2003, Rachel wrote: "I went to a rally a few days ago in Khan Younis in solidarity with the people of Iraq. Many analogies were made about the continuing suffering of the Palestinian people under Israeli occupation and the upcoming occupation of Iraq by the United States - not the war itself - but the certain aftermath of the war. If people aren't already thinking about the consequences of this war for the people of the entire region then I hope they will start." Now, in 2012, we listen to similar news - calls for bombing Iran to prevent it from acquiring nuclear weapons. The preemptive war has already begun with the assassination of Iranian nuclear scientists. Our government tells us sanctions against Iran will pressure their government to abandon any program to develop these weapons, but experience tells us sanctions only increase the defensiveness of repressive regimes and tighten their control over their populations. The news from our politicians is discouraging and even frightening, but in the meeting places and streets in our communities, we are making the kind of change that Rachel envisioned. It is happening in Olympia with continuing support for the Olympia Food Co-op's boycott of Israeli products until the rights of Palestinians are addressed. Throughout Puget Sound this week, we have successfully challenged efforts by the Israeli government to use members of the Israeli gay community to distract from the continuing oppression of Palestinian people. Churches in our region are conversing about divestment from corporations like Caterpillar Inc. for their refusal to address their continuing participation in human rights abuses and the illegal occupation of the West Bank and Gaza. In 2002, Rachel wrote, "I think it's important for people who oppose war and repression to speak about who we are as a community in addition to speaking about war and racism and injustice. We are not outside. I think it's important that human rights and resistance to oppression be included in the way we define ourselves as a community..." As the threat of war with Iran, the disintegration of the situation in Afghanistan, and the bombing of Gaza continue, the work we are all doing in our hometowns at the grassroots level is powerful and critical. Today, as we remember Rachel's stand nine years ago, we encourage our friends across the country and world to strengthen your own communities, educate, educate, educate, support each other in taking action, and walk with peace, love, and forgiveness in your hearts as you work for change. Dozens of US Campaign Member Groups Participate in 2012 Israeli Apartheid Week! Two weeks ago, activists from US Campaign member groups and other organizations joined organizers in 115 cities worldwide for the 8th Annual Israeli Apartheid Week (IAW)! From Olympia, WA to New Brunswick, NJ; from Burlington to Boston; US Campaign member groups in more than a dozen U.S. cities held IAW actions and events during the global week of action to educate people about the nature of Israel as an apartheid state and to build campaigns for boycott, divestment, and sanctions (BDS) against Israel. Exposing Israel's apartheid policies and challenging corporations that profit from the Israeli occupation are central to the US Campaign's mission of ending U.S. institutional support for the Israeli occupation and promoting freedom, justice, and equality. Above: Students at Antioch University set up a mock checkpoint with signs reading "Palestinians Stop" and "Israelis (and everyone else) Pass." Students at Antioch University in Seattle and the University of California (UC) at Berkeley erected mock Israeli checkpoints, while students at Boston University, Brandeis University, Rutgers University, the University of Pennsylvania, and beyond constructed mock Israeli apartheid walls on their campuses. At the University of Minnesota, Students for Justice in Palestine joined community members working on the Minnesota Break the Bonds campaign at a "Visualizing Inequality" event, where they served different sides of the room a different quality and quantity of food to represent the inequality of resources and quality of life between Israeli and Palestinian families under Israel's apartheid laws. Students at UCLA and UC Irvine staged peaceful and powerful walk-outs from presentations by Israeli soldiers organized to counter IAW. Above: Click to view a marching band, mock wall, and street theater protesting Batsheva Dance Co.
More than a hundred activists protested performances by the Israeli Batsheva Dance Company in San Francisco and New York City with banners, guerrilla theater, marching bands and street theater, calling attention to the dance troupe's role in the Brand Israel campaign to whitewash Israeli apartheid. The Seattle Middle East Awareness Campaign launched a series of advertisements on local King County Metro buses with billboards calling for equal rights for Palestinians. These actions came on the heels of film screenings, protests, panel discussions, and so much more that happened across the country earlier this month. But it's not over yet! If your US Campaign member group did not get to take part in IAW, or if you want to build on your IAW activities, remember that the Global BDS Day of Action is right around the corner on March 30th, Palestinian Land Day! This year, Land Day happens to fall on César Chávez Day, commemorating the late American farmworker and civil rights activist. This coincidence presents a wonderful opportunity for US Campaign organizations to connect the struggles and tactics (including boycotts) of farmers and workers who have advocated for justice from grape orchards in the United States to olive groves in Palestine. Click here for more information and ideas for taking action on Land Day, and be sure to send the US Campaign your photos, links, videos, and reports back! 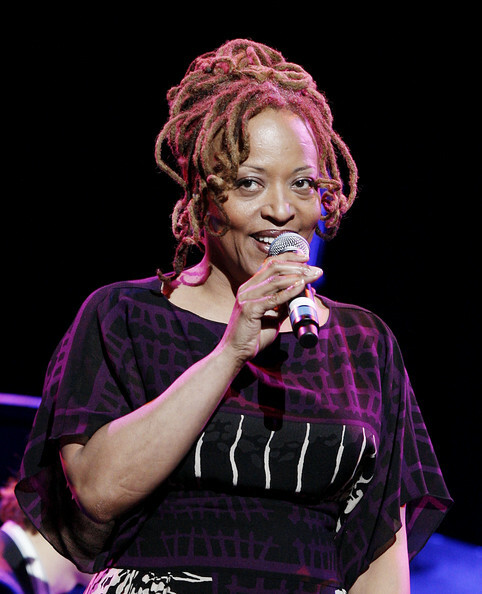 In late February, US jazz singer Cassandra Wilson canceled a schedule performance at the Holon International Women's Festival in Israel. Wilson, a world-renowned vocalist, canceled her performance after appeals from boycott, divestment and sanctions (BDS) activists encouraging her to respect the Palestinian call for BDS. According to an article at Electronic Intifada citing the Hebrew Israeli daily Ynet, the Grammy award winning Wilson announced, "as a human rights activist, I identify with the cultural boycott of Israel." The article also reports that concert promoters are considering legal action her. The US Campaign to End the Israeli Occupation released the following letter of thanks and appreciation to Wilson. We are a diverse coalition of more than 380 organizations across the United States working to change U.S. policy and end U.S. support for Israeli occupation and apartheid. We are writing to applaud you for your courageous decision not to play for the Holon International Women's Festival. Thank you for your statement in support of the cultural boycott of Israel as called for by Palestinian civil society. Although the government-funded Holon festival claimed to empower women, since Palestinian women were excluded, this was selective empowerment. 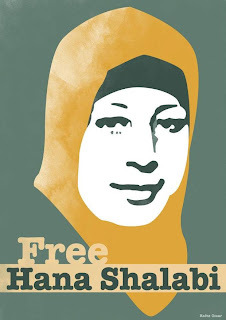 Your brave decision to refrain from performing in Israel showed respect and deep compassion for Palestinian women and your action is an inspiration for other women to stand up against injustice. We thank you for enduring the intense pressure to perform for the Holon festival. You showed great strength by seeking information about the BDS campaign and deciding to cancel so close to your scheduled performance. It is not uncommon for an artist who takes such a stand to be on the receiving end of false accusations, threats, and unfounded criticism by apologists for the Israeli crimes. In solidarity, we hope that you remain strong in the face of such pressure and recognise there is enormous support for you and respect for your decision among those who embrace justice, human rights and freedom. You have joined a growing list of artists of conscience who have refused to play in today’s Sun City and we all express our gratitude to you. Our National Organizer Anna Baltzer has been nominated for a Global Exchange People's Choice Award! The People's Choice Award is meant to honor the Human Rights activists who inspire you. 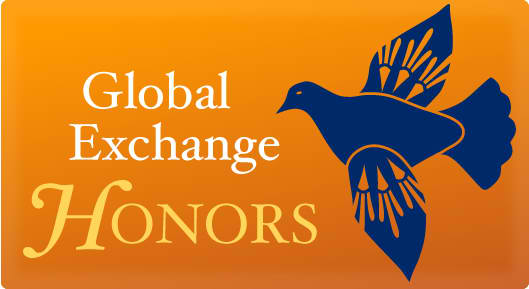 Global Exchange aims to shine a light on the Human Rights heroes working to build a better world–on your street, in your community and beyond. Vote for Anna today- voting closes 5pm March 19- and please make sure to share with your friends and followers! In recent days, a 19-year-old Palestinian was critically wounded when the Israeli military fired a U.S.-supplied high-velocity tear-gas canister at his head, one in a long series of attacks against civilians using these U.S.-supplied "crowd-control items." These canisters, meant to be fired from long distances to disperse nonviolent crowds, are often fired by the Israeli military toward civilian demonstrators at very close range. This makes them more akin to salt-shaker-size bullets than nonlethal crowd control items, and the repeated misuse of these canisters has had devastating consequences on both Palestinian and American civilians. In February 2009, while working in the Palestinian West Bank, I was on the receiving end of one such canister during a weekly demonstration in Nil'in. Had it been inches to the left, I probably wouldn't be writing this today. Two weeks later, an American from California, Tristan Anderson, was shot and critically injured with a high velocity tear gas canister. Today, Tristan is still paralyzed, disfigured and blind in one eye. Recently I met Sen. Tom Udall and Rep. Ben Ray Luján to ask for an investigation into the continued misuse of U.S.-supplied high-velocity tear-gas canisters against demonstrators, as required by U.S. law. The meetings were cordial, but their responses were tentative at best. During one of the constituent breakfasts that Sen. Udall's office graciously hosted recently, I had the opportunity to meet the senator, his staff and other constituents. I spoke with people from organizations who work in early education, care for our veterans, and run summer youth space programs that stimulate interest in math and science. Sadly, every group was faced with shrinking budgets and increasing needs. Over the next 10 years, New Mexico taxpayers will foot the bill for $107.8 million of the $30 billion that the U.S. is scheduled to give Israel in military aid under the current Memorandum of Understanding. Can New Mexico really afford to subsidize Israel's occupation and gross human rights abuses while budgets for early education, veteran's benefits and programs that promote interest in science and math get slashed? In addition to violating Palestinian human rights, unconditional military and diplomatic support for Israel undermines U.S. interests, regardless of how you define them. If you worry about free market stability and preferential access to world energy supplies in the Middle East, read recent statements by Gen. David Petraeus, now director of the CIA, former Secretary of Defense Robert Gates, or current Defense Secretary Leon Panetta, all of whom indicate that unconditional support for Israel is undermining our pursuit of those goals. U.S. rhetoric about support for human rights and equal accountability under the law should match our actual policies. Read the State Department's annual country report that decries Israel's systemic discrimination and human rights record. Watch Rain of Fire, a report that documents Israel's misuse of U.S.-supplied white phosphorous against civilians in Gaza. Unless we define U.S. interests as Israel's ability to engage in self-destructive and wantonly irresponsible behavior, the current policy is morally wrong, financially unsound and strategically bankrupt. I hope Sen. Udall and Rep. Luján will seriously consider using our tax dollars to meet New Mexico's unmet domestic needs, and not to purchase more weapons for Israel to use against Palestinian civilians demonstrating for their human rights and equality. Mike Coogan grew up in Santa Fe and graduated from Desert Academy in 2003. He is now the legislative coordinator for the U.S. Campaign to End the Israeli Occupation. He lives in Washington, D.C.
Arab Voices, broadcast on 90.1 FM Houston, featured Rae Ablieah, of Occupy AIPAC and Code Pink and National Advocacy Director Josh Ruebner, on its March 7 show. Click the link below to listen to the broadcast, which covered AIPAC, Occupy AIPAC, the campaign to end military aid to Israel, and more. Jewish-American activist of Israeli descent. She is organizer with Occupy AIPAC - a counter-conference that took place across the street from the AIPAC conference held in Washington, D.C. few days ago. Rae is also co-director of the peace group CODEPINK. Last year, an alleged member of AIPAC physically assaulted and injured Rae when she disrupted Israeli Prime Minister Benjamin Netanyahu’s speech in the U.S. Congress. National advocacy director of the U.S. Campaign to End the Israeli Occupation (a national coalition of nearly 400 organizations working to change U.S. policy toward Israel/Palestine to support human rights, international law, and equality). He is a former analyst in Middle East Affairs at theCongressional Research Service (a federal government agency providing Members of Congress with policy analysis). Josh is author of the newly-released policy paper entitled "U.S. Military Aid to Israel: Policy Implications & Options". A live discussion with Rae Abileah and Josh Ruebner about AIPAC (American Israel Public Affairs Committee) and its annual conference held March 4-6, 2012 in Washington, D.C.; the influence AIPAC has on the U.S. foreign policy towards Israel, occupied Palestine and Iran; the amount, impact and legality of the financial and military aid the U.S. provides to Israel every year; and much more. National Advocacy Director Josh Ruebner launches the US Campaign's first-ever policy paper, entitled "U.S. Military Aid to Israel: Policy Implication & Options" in this briefing at the Palestine Center. Aside from the rhetorical pandering on Iran, perhaps the biggest failure in Obama’s AIPAC speech was in its giving Israel a get-out-of-accountability-free card. Clearly Israel has no reason to worry about any possible U.S. pressure to end its occupation and apartheid policies. Any Obama administration commitment to working to end the Palestinian-Israeli conflict is over, at least till after the elections. Washington, DC (Monday, March 5) -- As members of the American Israel Public Affairs Committee (AIPAC) prepare to lobby tomorrow on Capitol Hill for more U.S. weapons for Israel, the US Campaign to End the Israeli Occupation will launch its first policy paper, which calls for the United States to end military aid to Israel. The report release comes after President Barack Obama stated yesterday at AIPAC's policy conference that "Despite a tough budget environment, our security assistance [to Israel] has increased every single year." The US Campaign will present the policy paper at a briefing on Tuesday, March 6, 12:30-2:00pm, at the Palestine Center, 2425 Virginia Ave. NW, Washington, DC 20037. For additional details and to RSVP, please click here. Printed copies of the policy paper will be distributed at the briefing. The briefing culminates the five-day series of events, "Occupy AIPAC." "U.S. military aid to Israel is a policy that is running on autopilot and must be reconsidered. U.S. weapons provided to Israel at taxpayer expense make us complicit in Israel’s human rights abuses of Palestinians living under Israel’s 44-year military occupation of the West Bank, East Jerusalem, and Gaza Strip and defeat U.S. foreign policy objectives of halting Israeli settlement expansion, ending Israeli military occupation, and establishing a just and lasting Israeli-Palestinian peace." From 2000 to 2009, the United States appropriated $24.1 billion of military aid to Israel, transferring more than 670 million weapons, rounds of ammunition, and related equipment. From 2000 to 2009, Israel killed at least 2,969 unarmed Palestinians, including 1,128 children, often with U.S. weapons in violation of the Foreign Assistance Act and Arms Export Control Act. From 2009 to 2018, the United States is scheduled to give Israel $30 billion in military aid, a 25 percent annual average increase over previous levels of military aid, despite its negative political and strategic ramifications. From the Eisenhower to Bush, Sr. Administrations, at least 10 times the United States conditioned aid to Israel, threatened to cut off aid to Israel, or sanctioned Israel for violating U.S. laws and/or working against foreign policy objectives. Since 2000, Members of Congress and/or the State Department have investigated or requested investigations into Israel’s potential misuse of U.S. weapons at least five times; however, no public action has been taken to hold Israel accountable for its violations of U.S. laws. With the same amount of money that the United States gives each year to fund weapons for Israel, the federal government could instead fund affordable housing vouchers for 350,000 low-income families, or green jobs training for 500,000 unemployed workers, or early reading programs for 900,000 at-risk students, or primary health care to 24 million people without insurance. The policy paper concludes with specific policy recommendations for the President and Congress to ensure that any money appropriated in the future for additional weapons to Israel are not misused to commit human rights abuses against Palestinians, but to further U.S. foreign policy objectives. If you're in DC this weekend we look forward to seeing you soon! See the UPDATED schedule of actions here. We will be live-streaming the Occupy AIPAC Summit tomorrow, Saturday, March 3, 9:00am-5:30pmEST - watch it live at www.occupyaipac.org or directly on Ustream http://ustre.am/Ic3b. Even if you can't join us at Occupy AIPAC, we need your help in promoting this message far and wide. The 99% say NO to war on Iran and YES to diplomacy and respect for Palestinian rights. Please take a moment to spread the word with social media and send a message to Obama and Congress.